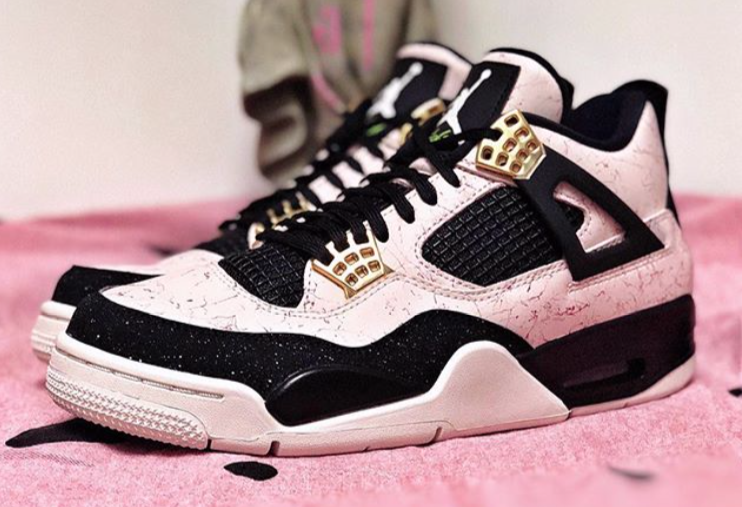 Jordan Brand’s year-long celebration of the Air Jordan 4’s 30th anniversary continues this month with a couple of women’s exclusives, including the recently released “Valentine’s Day” Air Jordan 4, as well this newly unveiled “Silt Red” rendition. 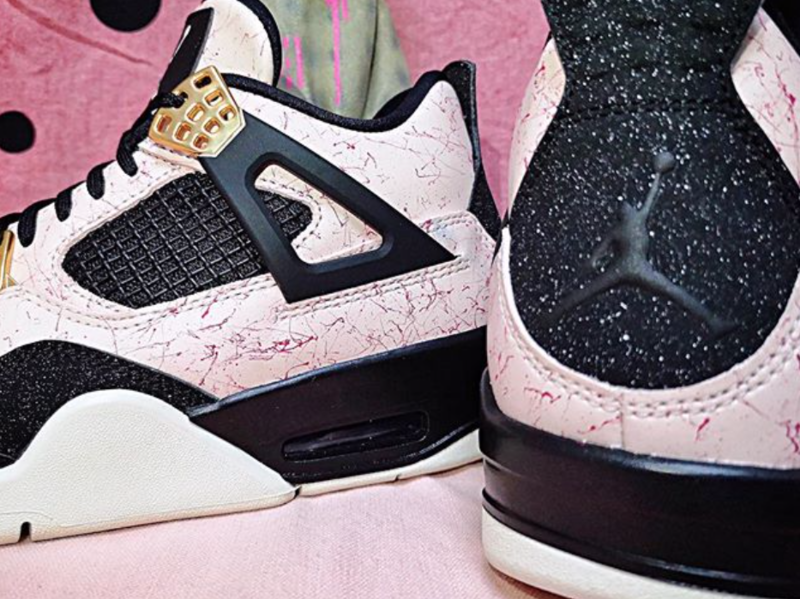 As seen in the latest batch of images provided by @DirtyMoney823 and @HanZuYing, the “Siltstone Red” Air Jordan 4s feature a marbled, light pink upper accompanied by hits of black on the midsole, toe cap, wings, heel tab, inner lining and laces. Gold detailing rounds out the look. The kicks, releasing in grade school sizes, are expected to arrive on February 22 for the retail price of $190. 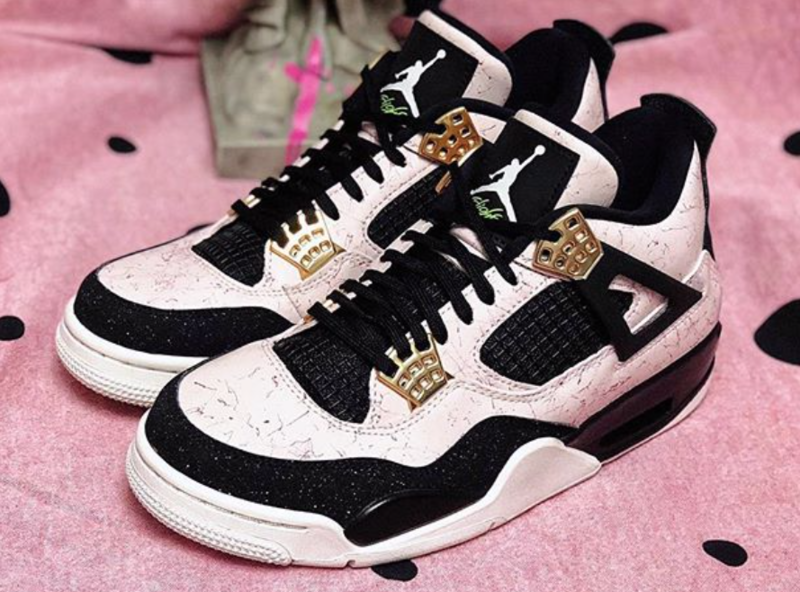 If you’re a fan of Air Jordan 4s and this particular colorway ain’t cutting it for you, there are plenty of other options on tap for 2019. In celebration of the iconic sneaker’s 30th anniversary, Jordan Brand will be rolling out several classics, such as the “Bred” and “Cool Grey” iterations, as well as some all-new styles, like the “Do The Right Thing” colorway. 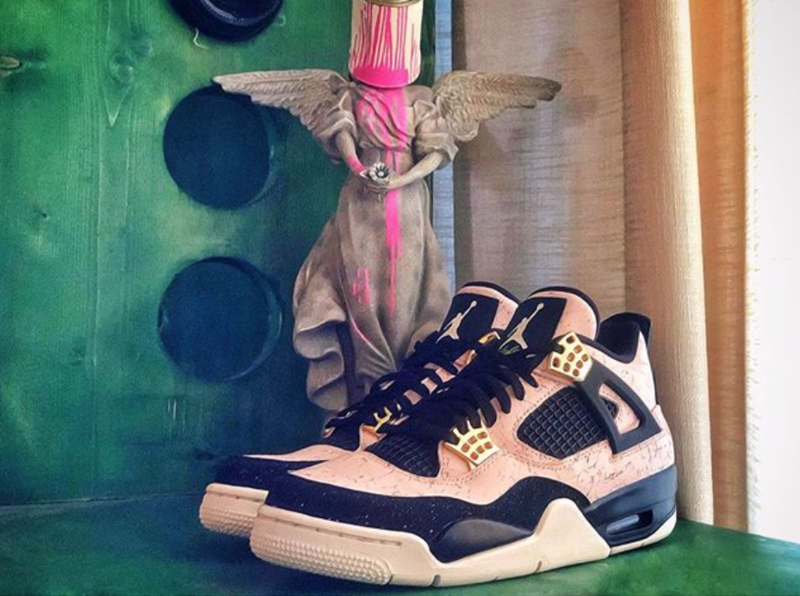 Check out some additional photos of the “Silt Red” AJ4 below. Previous story Cardi B Shares Historical Grammy Win With Mac Miller: "We Won A F**kin Grammy"